The right’s relentless campaign to demonize immigrants is an openly racist attempt to “make America white again.” There is no ethical justification for deporting productive, law-abiding people, who have lived here since childhood, to countries they never knew as home. But Republicans are determined to conflate these good neighbors with criminals and force them to leave their families and businesses for no reason other than their hatred of what they consider dark-skinned invaders. 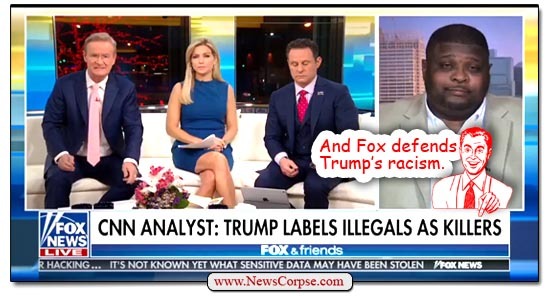 Consistent with their support for conservative bigotry, Fox News invited right-wing radio talker Wayne Dupree to discuss immigration with the knuckleheads of Fox and Friends (video below). The discussion was triggered by a clip from CNN wherein host Brooke Baldwin stated the obvious truth that it’s wrong to imply that all immigrants are criminals. Well, that indisputable fact was too much for the “Curvy Couch” potatoes of Fox and Friends to comprehend. Doocy: You’ve got her saying that people are here for all kinds of valid and patriotic reasons. I don’t get that part. 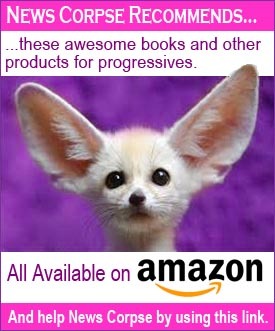 Dupree: Oh, I do. It’s easy. CNN is trying to raise their ratings. They need illegal immigrants to watch their ratings, to get their ratings back up so that’s why they’re calling them patriotic. Listen, I don’t know what’s going on over there, whether it’s wacky tobacky or Latin lettuce in the break rooms or what not, but the American people right now, we want our polticians to enforce the laws. Are you friggin’ kidding me? This deep-fried dope is in the media business and has no idea how ratings work. Does he think that immigrants dash across the border and are picked up by representatives from Nielsen Media who immediately start to register their TV viewing habits? This is too stupid, even for Fox News. Yet Dupree portrayed it as the “easy” answer to Doocy’s asinine question. Dupree: Illegal immigrants…don’t have any allegiance to this country. They don’t care about this country. And that’s why they can go out drinking and run over a rising NFL star. What the F…? If anyone is high here, it’s Dupree. There is simply no discernible logic in that statement. Does he really think that anyone would get drunk, then take the car out for spin because they don’t like America? That would be stupid enough by itself, but it’s even worse when accusing people who take great risks to come to this country of not caring about it. What’s more, if Dupree thinks that drunk driving fatalities are caused by people who don’t like America, then let him explain the 10,000 annual deaths caused by drunk driving American citizens. 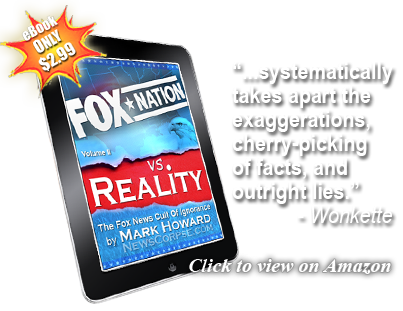 This idiotic argument is nothing new for Fox News. They exploited the same sort of thing with the tragic death of Kate Steinle. In that case an immigrant accidentally fired a gun he had found. He was acquitted of any criminal homicide charges. And every time there is any crime committed by an undocumented resident, Fox News goes bonkers trying to associate the crime with the person’s residency status. Which has nothing to do with the crime. Something else that Fox News will never accept is the fact that undocumented immigrants commit far fewer crimes than native-born citizens. But why let facts get in the way of a good racist narrative? America’s most brazenly authoritarian president continues to affirm that he craves nothing more than unbridled adoration and endless tributes to himself. That is the only explanation for his latest initiative to embarrass the nation. Trump’s proposal for a military parade has already attracted opposition from both Republicans and Democrats. And for good reason. The parade that Trump is proposing is exactly the sort of thing that his heroes in Russia and North Korea stage for their own splendiferous glory. And if they can have a parade, Trump is damn sure that he should have one too. An even bigger and better charade …er, parade… to honor his presidential bone spurs. Never mind the cost to the military; or the disruption from training and readiness; or the necessary projects that would suffer from lack of funding; or the expense of repaving streets in Washington that get torn up by tanks. Dozens of protesters are planning to disrupt President Donald Trump’s planned military parade in Washington, D.C., vowing to lie in front of tanks to keep them from moving. “We now have nearly 50 Americans who have signed on to lay in front of the tanks of Trump brings out a military parade,” activist Arn Menconi wrote on Wednesday in a gesture he said was inspired by the Chinese pro-democracy protesters who made history during the 1989 demonstrations in Beijing’s Tiananmen Square. This would be a profoundly moving and meaningful demonstration that would fittingly shame Trump (if that’s even possible) and tie him to the traditions of the dictators who inspire him. At the very least it would piss him off terribly. In addition to this righteous protest, I would suggest another parade the day before Trump’s. 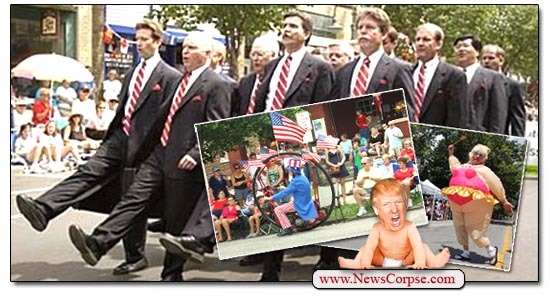 It should be a Doo-Dah style affair with satirical marchers that would mock Trump’s ego-fluffing circus stunt. I see elephants and jugglers and the Hair Club for Men Marching Comb-over Brass Band. Now THAT would be fun.